ELA Motors has gone another step further by unveiling its new model BB60 Coaster bus last Thursday. The unveiling of the fourth generation coaster bus took place in Lae, Port Moresby and Mt Hagen at the same time. The new model is bigger than the current BB42 model with the height, length, and width of the vehicle extended by 50 centimeters. Some new features that added included airbag in front of the driver’s seat and extra re-enforcement to the body of the bus that makes the body much stronger. The engine and parts are no different to the current model. 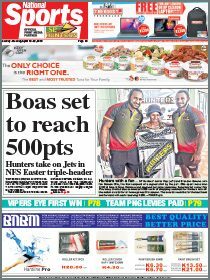 Ela Motors Hagen branch manager Benny Irale told invited clients from Highlands region and financiers at the Ela Motors showroom last Thursday that in the global market share PNG sold 4 per cent of all Coaster buses coming out of the factory in Japan. 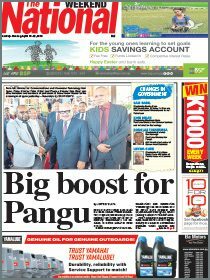 He said the Coaster bus was one of the biggest selling vehicles in PNG. He added that the first generation of Coaster buses came out in 1963, second generation in 1969 and third generation in 1982. Before the new bus arrived in Mt Hagen on Jan 26 this year, a first customer, Ranji Yakipu from Southern highlands walked into Ela Motors with cash and bought the new bus at the cost of K174, 950. He was followed by five other customers who already paid off and were waiting for their buses to arrive.